In addition to training, there are several other things to consider before starting work in confined spaces, including entry permits, risk assessments and rescue procedures, so both employers and employees must be prepared. Regulations and standards: Those involved in working in confined spaces should consult the relevant health and safety regulations and work health and safety laws to ensure compliance. Australian Standard, AS 2865-2009 Confined Spaces sets out best practice for working in confined spaces and states employers’ and employees’ legal obligations. According to the Code of Practice for confined spaces, employers must undertake adequate preparation before work is carried out: all hazards in a confined space must be identified and risks assessed; each worker must have an entry permit; first aid and rescue procedures must be established; and adequate training must be undertaken. 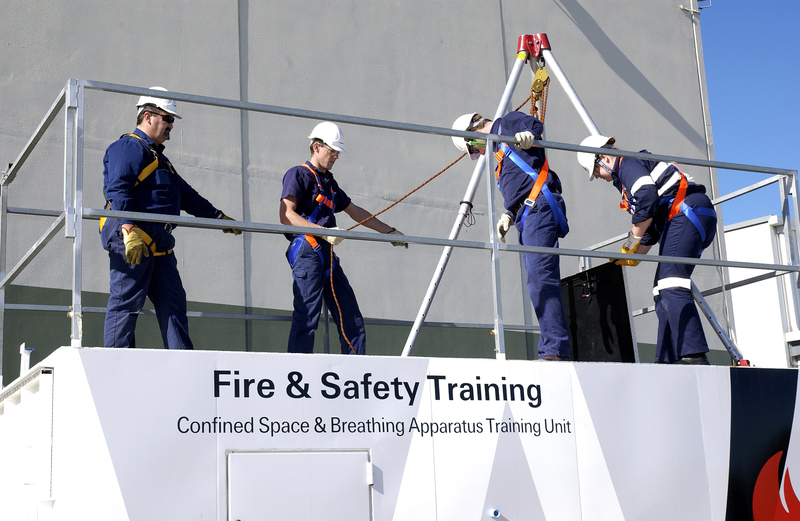 Hazard and risk assessments are vital to help determine what precautions should be taken before entering a confined space. A risk assessment should consider the atmosphere, all proposed work activities, the number of persons occupying the space, the soundness and security of the structure, the identity and nature of substances last contained in the confined space, emergency response procedures and the competence of the persons undertaking the work. The risk assessment should be carried out by a trained, competent person. Hazards found in confined spaces can include restricted entry or exit, harmful airborne contaminants, inadequate oxygen levels or air flow, toxicity of any gas, dust or vapour, fire or explosion hazards, and temperature extremes. Fires or explosions pose serious threat to life so potential ignition sources such as open flames, sparking or electrical equipment, internal combustion engines and static electricity should be identified. Training and emergency response procedures help to ensure that effective plans and procedures are formulated and ready to be executed in the event of an emergency. According to Australian Standard, AS 2865-2009, those working within confined spaces must be trained and assessed as competent to perform those activities. Furthermore, training must be carried out by an approved training provider. In case of emergency, equipment such as breathing apparatus, resuscitation equipment and safety harnesses, as well as appropriately trained persons must be immediately available. A comprehensive approach to rescue must be considered and each site should have a rescue procedure in place specific to that site. Emergency situations in confined spaces are often also extremely dangerous for rescuers. Attempts to perform a rescue operation without adequate equipment and training put more people in harm’s way. Rescuers may themselves become injured or overcome by gases or oxygen deficiency, so having trained persons on site is essential. This entry was posted in Fire safety training and tagged breathing apparatus, confined spaces, fire safety, fire safety training, training, working in confined spaces by wormaldblog. Bookmark the permalink.